The triples and "running the triples" is a trading strategy developed by one of the most generous traders in our forum named BruceM. Much of what is described here was first written by BruceM in a topic called Running the Triples. The triples are three or more 5-minute bars in a row with the same high or low value. The market will frequently trade back to this high or low value. 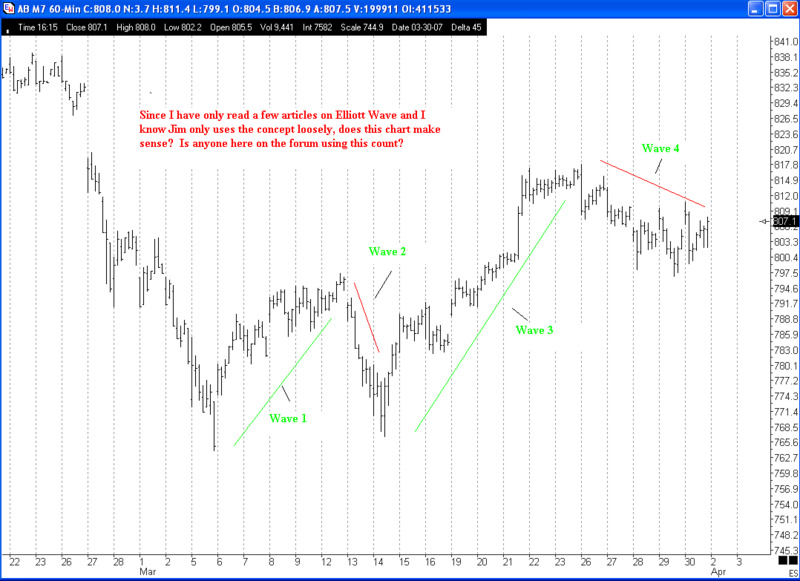 In the chart below there are currently two of these area in the market at 1475.25 and down at the 1467 area. The market is currently at 1478.75. These basically develop in low volume environments and when the probability fails they become great reference points for targets. In the chart below you can see that the market traded up to another set of triples before selling off and "running out the triples." Another horizontal line has been drawn below the third set of triples at 1479.